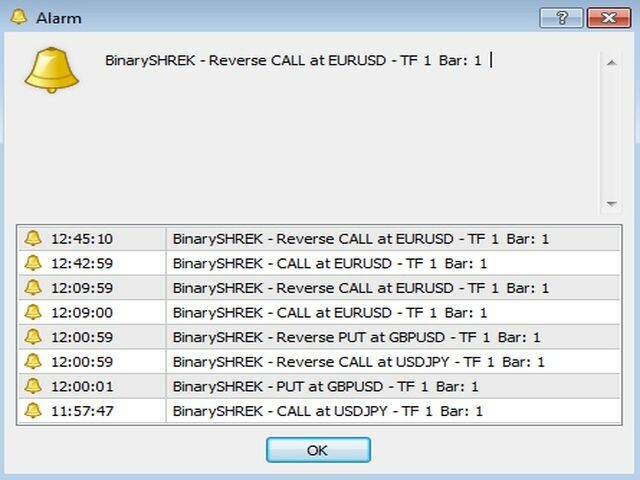 This is a No-Repaint-Strategy for binary options. If the price reaches an overbought or oversold and the trend is again in the other direction, the indicator issues a signal via alert, sound, mail and/or notification. You can decide whether you want to execute the suggested trade or not. 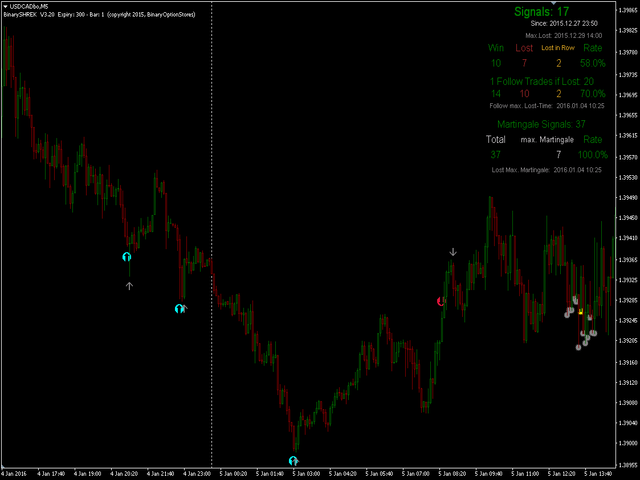 Runs on all timeframes and with many different expiration times! 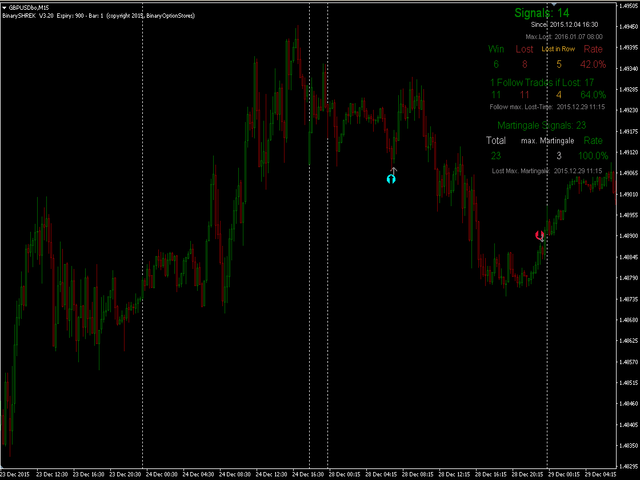 The higher the timeframe, the accurate are the signals. 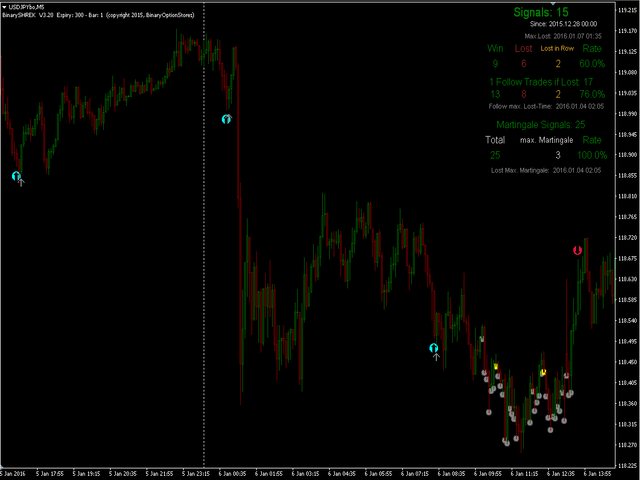 We recommend M15 or M30 timeframe. You can now change the factors for the indicator. - The results are now displayed in the chart. It displays the results in the chart version 1.3. 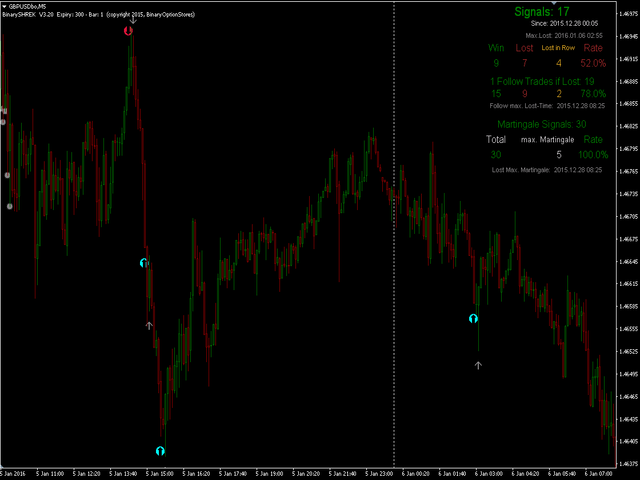 You can therefore decide if this currency pair and the timeframe is good for your trading or not. 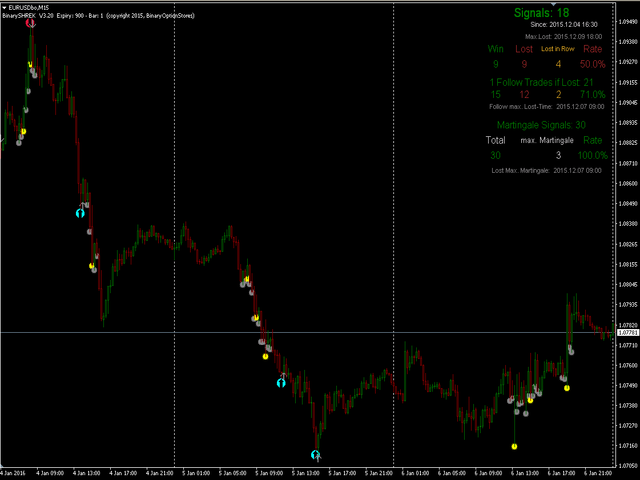 The results in the timeframe M15 can be seen. Even the Lost in a row is manageable. 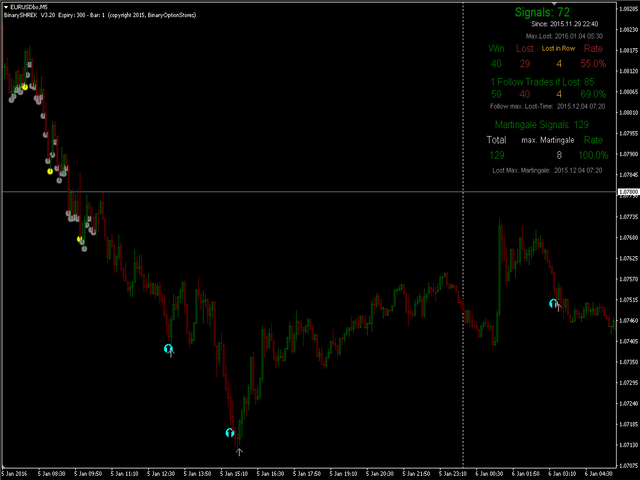 You can open another trade in Martingale also from the 1st signal after each candle in Lost. With the 6. Trade in Martingale you can make a win again. You can now separately adjust Alerts/Notifications, etc. for the first signal and the second signal. If at this second the signal is come, the market look different at the next second.